Impact Steel is one of Australia’s leading distributors and processors of sheet steel and coil steel products. For over 25 years we have been a leading supplier in the industry. We not only supply quality steel products, we pride ourselves on our ability to offer unbeatable service and specialist industry advice to all of our customers. Committed to our service standards, we can also offer assistance with developing solutions to our customers’ supply and stock management issues. Impact Steel was founded over 25 years ago, and has since become a leading supplier of quality steel products across Victoria. 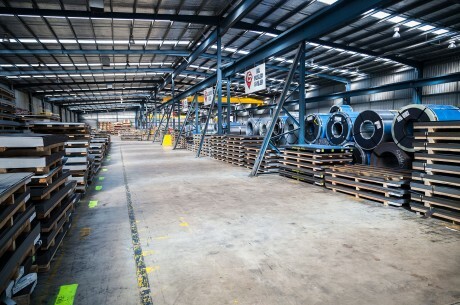 We process all sheet and coil steel work within our advanced process centres in Dandenong, Victoria. Over the years, our company has built strong relationships with our customers by always ensuring that our customers’ needs are our number one priority. More recently, we have adapted modern day steel processing methods, which have significantly improved the way we operate. This has also allowed us to grow as a leading steel supplier and ultimately differentiate ourselves from competitors. We’ve taken great pride in becoming fully certified by two of the world’s leading business assurance registries: Lloyd’s Quality Assurance Register and JAS/ANZ. This serves to reassure existing and future customers of our highest quality standards. We are aware of our customers’ demands and expectations, and their need for quality steel work at a competitive price. As well as offering cost reductions for our customers, we understand that the most critical aspect of steel production is a zero-defect final product. Impact Steel takes pride in our ability to deliver on this. 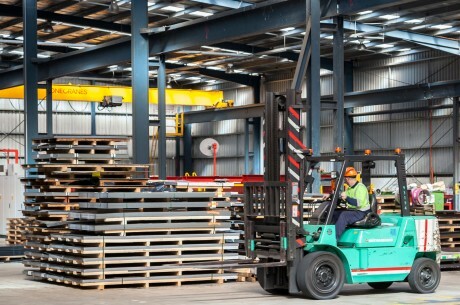 Our vision is to become Australia’s leading steel supplier and distributor. We aim to do this by actioning and maintaining these uncompromising standards of flexibility, cost, service and quality. Impact Steel has implemented a Quality Management System in accordance with the Australian industry standard, (AS / NZS ISO9001:2008). Our products and processes are certified by Lloyd’s Quality Assurance and JAS-ANZ registries, which are both leading providers of Business Assurance services and certifications. This approval covers our stock, processing and warehousing operations, as well as distribution of all Impact Steel products. The purpose of attaining industry accreditations is to reassure our customers of the impeccable service standards of quality. The ultimate aspect of our company mission is to maximise product quality assurance with our clients. A non-defective final product, in conjunction with in full and on time delivery is what we pride ourselves on. For further details regarding accreditations, please follow the links below to our certifier’s websites. We recognise that the needs of each of our customers are vastly different. As such, we work with you to determine the exact products you require and provide you with a customised product schedule that addresses your use for these products. Managing inventory requirements can effectively reduce unnecessary expenditure. By determining influences and taking into account seasonal fluctuations, we can develop accurate re-order levels. Collectively, we analyse historical data to forecast and establish a specific estimated quantity that suits your needs. 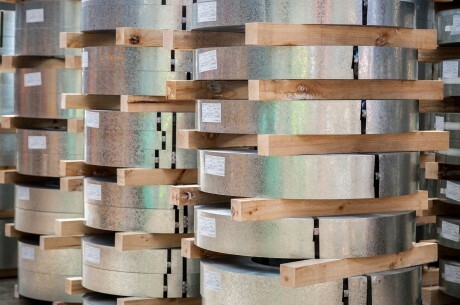 All sheet and coil steel products ordered are transported directly using our own carrier. We guarantee an on-time and hassle-free delivery, and can also offer quicker turnaround times when necessary. We are able to offer a next working day delivery option, and for the most urgent delivery of stock purchases we can provide a guaranteed processing time within 48-hours. Many of our customers depend on our support. As such, we are able to establish a visitation schedule to discuss any matters, concerns or questions that you may have. We want to continuously communicate with our clients, and will strive to improve your business by making recommendations and suggestions for supply improvements based on your circumstances and our dynamic expertise. Impact steel is known for producing quality products backed up by technical and engineering expertise. Endorsed by our steel suppliers’ industry expertise, all of our products are sourced from well renowned and creditable manufacturers. When ordering with Impact steel, each customer is provided with a Part Identification Number, which is then used on all customer and product documentation in relation to delivery and sales. This method assists both us and our customers in retaining our highest service standards in conjunction with managing supply inventory. At Impact Steel, we have procedures in place to ensure comprehensive traceability on all ordered steel products. 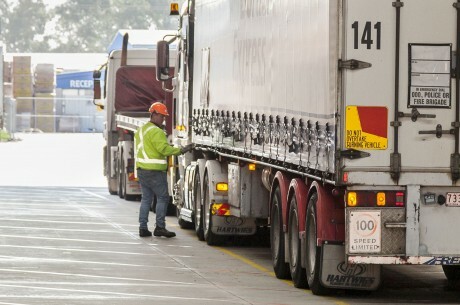 Sizes, quantities and grades all strictly comply with Australian industry standards. In the event of a service or delivery error, we are able to trace and link the products back through manufacturers to easily rectify the complication.